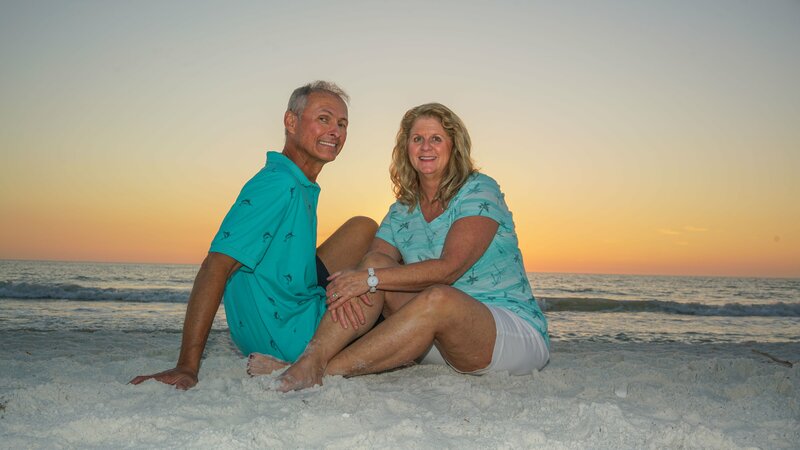 Marco Island’s pristine beaches are among the most beautiful in the world, surrounded by the blue/green waters of the Gulf of Mexico and the tranquility of the 10,000 islands. Marco Island is called “Paradise” by its many visitors because of the beauty of the island and the tropical weather. Sea Mar Condo overlooks Crescent Beach, 3 1/2 miles of beautiful white sand, perfect for relaxation, walking or water sports. The evenings are special watching the sun set over the Beach. We provide our guests beach umbrellas, chairs, a beach pull cart, and beach towels. All you need to bring is a good book and sunscreen. Tigertail Beach and the Lagoon Nature Preserve are great places to kayak, paddle board, or go shelling. They are also good areas to see heron and ibis as these birds nest along the edges of the lagoon. Tigertail Beach Rentals, located a short walk from our condo, rents aqua-trikes, paddle boards and kayaks. (Be sure to ask about their morning rate specials). Tigertail Beach Cafe is open for breakfast and lunch. 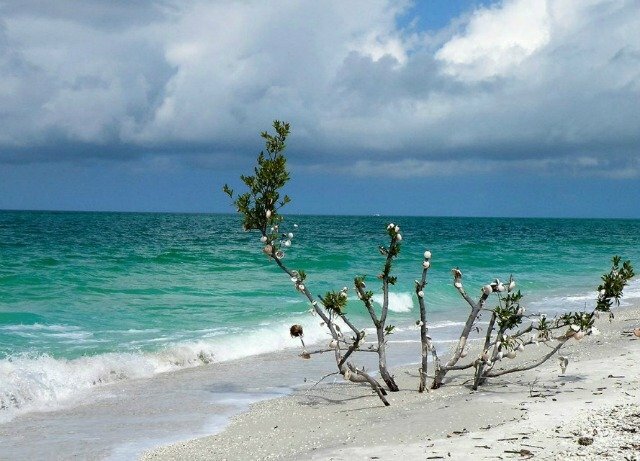 Be sure to see the “shell tree” located on the ocean side of Tigertail Beach where you can leave your own “shell print” on the island. Our guests enjoy Marco Island’s pristine beaches and the many forms of sea life on the island. It is not unusual to see dolphin, manatee, sea turtles, and varied bird species along the beaches. After a day at the beach and a dip in our heated pool, beachfront dining is available at several Marco Island restaurants where you can dine while watching a beautiful sunset. Be sure to bring your camera to capture that special picture. 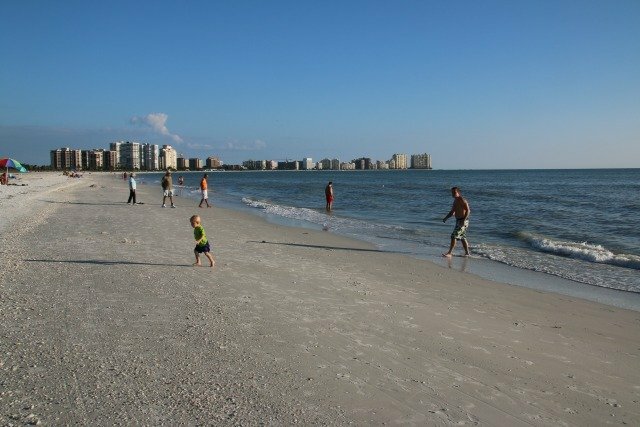 Most of our guests to Sea Mar Condo agree that one trip to Marco Island isn’t enough time to enjoy this special place.